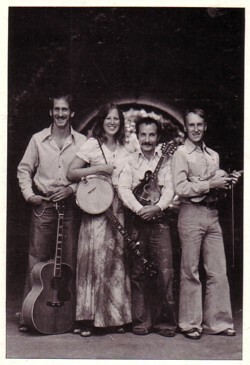 It turned out that the members of this bluegrass band were all in some obscure Tibetan Buddhist organisation. And the banjo player had been the spiritual teacher of the guy behind the table. He began telling me a long story, so I said that he should better keep the record himself if it meant so much to him. But no, he preferred the money. Because I knew that this was a great find, I promised him to send him a CDr of the LP. He felt bit reluctant to give me his address, but he did, and I send him the CD. I hope he is happy with the money, because I am certainly happy with the LP! As you maybe know by now, I am very much into spiritual matters. But I am also extremely allergic to institutes, teachers, teachings and all other symptoms of spiritual materialism. The songs on this LP all express the ideas of a religion. Even though Buddhism is in essence not a religion, it seems to me that for most of the people that call themselves a Buddhist it is a religion. The combination of texts about the dreamlike nature of Life and other Buddhist themes with traditional bluegrass music is not only rare, it also works well. 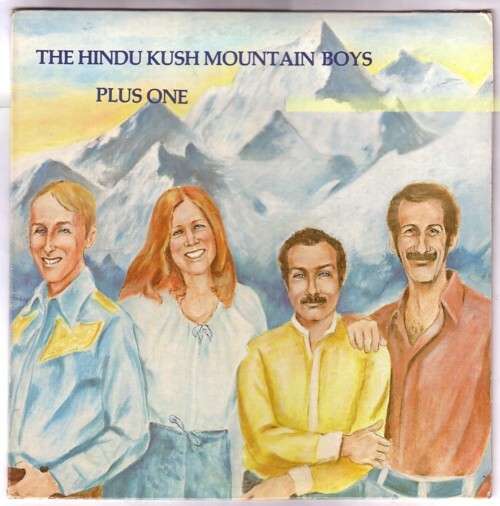 The Hindu Kush Mountain Boys are inspired, no doubt about that. But there are a few songs on the LP that show signs of sectarianism, and although I do not have warm feelings for sects, I find these songs even more fascinating. The Sound of the Eck for example. I had never heard the word Eck before, but from what I understand from the lyrics Eck is the primordial stuff that Life is made off, a concept like the sub quantum soup in physics. To hear such ideas expressed in a bluegrass song is a subtle but sheer delight. The song I picked for today is called about Peddar Zaskq. And don’t tell me that you have never heard of Peddar Zaskq! Hi, I just came back from an ECKANKAR seminar where I purchased a copy of the Hind Kush Mountain Boys Plus One CD. I remenber listening to this music when I first started with ECKANKAR in the late 70’s. I too love this wonderfull bluegrass music. I just wanted to say that the organization is not Buddist, even though there are some similarities. The Eck goes way back before any religion. Even though it has more structure today than ever before, the inner teaching remains the same. It’s a truly an inner, individual path. Enjoy the music and check out www.eckankar.org if you want to know more. Hi, I’m Larry Siegel, the mandolin player of the Hindu Kush Mt. Boys +1. Also the author of some of the songs. Very happy that you like it. Loved your way of sensing the essence of the songs you picked like the Sound of the ECK. You can check out some of my/our other music on soundcurrentmusic.com and larrysiegel.com. Keep up the good work.